HOME > NEWS > WW3 News: Nostradamus’ Prediction of Donald Trump-Instigated Apocalyptic Global Conflict Happening Soon as 3rd Anti-Christ Seen to Wage War in Baltic Region? WW3 News: Nostradamus’ Prediction of Donald Trump-Instigated Apocalyptic Global Conflict Happening Soon as 3rd Anti-Christ Seen to Wage War in Baltic Region? Conspiracy theorists are pointing to U.S. President-elect Donald Trump as possibly the third anti-Christ prophesied by the 16th century seer Nostradamus as the "military governor" that will trigger the apocalyptic World War III. And that Trump can very well fulfill such prophesy as early as 2018, by fighting with Russia over the Baltic regions. Professor Paul Miller of the National Defense University in Washington, D.C. is convinced the next global conflict will start in Europe, drawing in the United States that will soon be ruled by Trump. Miller, according to News.com.au, sees Russian President Vladimir Putin further expanding or recovering the lost Soviet-era territories. Described by the report as an influential defense analyst, Miller has accurately predicted that the Kremlin will make a move in Crimea, take it away from Ukraine and annex the strategic area. And as Miller saw it, Russia invaded Crimea. The next target for Putin is the Baltic region with Latvia or Estonia likely to become the next Ukraine. But Miller said the Russian president will play it smart and there will be military invasion of the tiny states that once were satellites for the Soviet Union. Instead, Putin will make use of the sizeable ethnic Russians in the region to foment rebellion against the Latvian or Estonian governments. There will be rioting, bombing, assassinations and other activities that are preludes to a full blown civil war. Miller said that conventional attacks will take the backseat for Putin's tried and tested playbook of "hybrid warfare". In the case of Latvia or Estonia, "a low-grade insurgency may emerge," the defense expert said. Then Moscow will move in, purportedly to resolve the deteriorating conflict. With Russia's entry, the Baltic nations can then appeal to the West for help being full NATO members. And the United States will need to send forces as part of its commitment to NATO. With the big powers involved in the growing conflict, the Baltic States are likely to the theater for the feared nuclear showdown between America and Russia. Miller said his forecast could happen as early as 2018, somehow lining up with the vision by Nostradamus that as ruler of the United States Trump will cause a war that will be the end of the world shortly after his election. 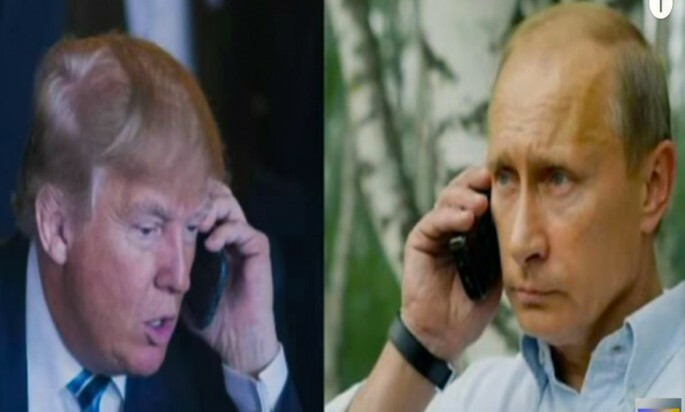 However, Trump warring with Putin seems a remote scenario for now as the two are thought to be easing up the tension between America and Russia lately, possibly en route to warmer relations between the two powers.